Killer Characters: Detective Pete Pappas - No Amateurs, Please! Detective Pete Pappas - No Amateurs, Please! 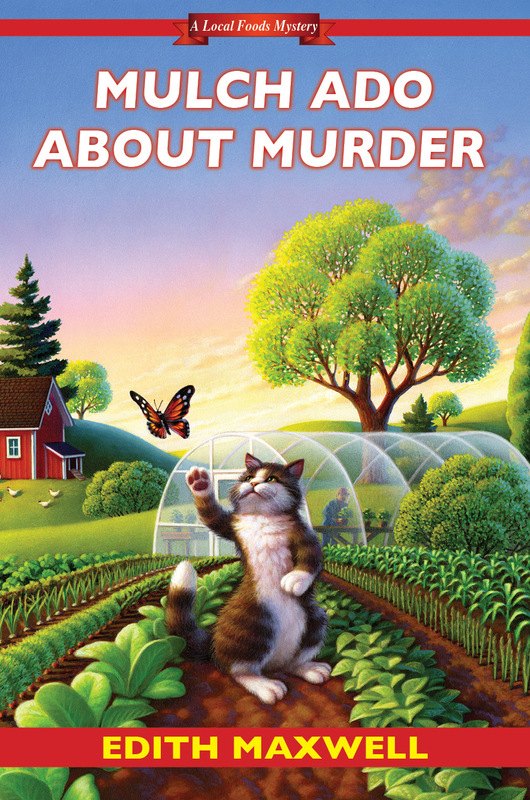 State Police Detective Pete Pappas here, from Edith Maxwell's latest Local Foods mystery, Mulch Ado About Murder. My author asked me to step in here and give you a taste of what a real homicide investigation looks like. I thought a quick scene from the book might show you what I'm up against when amateurs get involved. Dr. Maxwell's giving away a signed hardover copy of the book to one commenter here, today, too. “You don’t say.” William’s eyes went wide. “A death? Who died?” William looked at Cam and then at Deb. “How did he die?” William asked. “Can’t say that I did. Only this one trying to run down a few dozen parade watchers in his fancy red convertible an hour or so ago.” He pointed to Rudin. Rudin folded his arms and examined the corner where two walls met the ceiling. Pete gazed at him. “Ruth witnessed that, too, Pete,” Cam said. “She made him go back into the parking lot. She’ll know what time it happened. Daddy, you didn’t see the detectives and the EMTs go into the house?” Wouldn’t he have? Why hadn’t he come looking for her earlier? “Thank you.” Pete’s face was getting tenser by the minute. “See you, girls.” William gave a little wave. Pete, here. See what I mean? You'll have to read the book to get the whole story. Suffice it to say, despite how much I care for Cameron and that she occasionally gets lucky figuring out who a killer is, your average citizen has no business getting involved. Please people, leave it to the professionals. Who is your favorite fictional detective? Remember, one commenter gets a signed copy of the new book. I can't wait to read this! 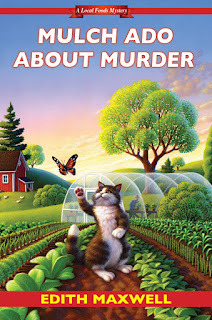 I love these cozy mysteries! My favorite detective, so far, is Eve Dallas from J. D. Robb's In Death series. Thanks for the great scene. I love Sherlock Holmes. Would Mrs. Pollifax count? While not technically trained as a detective, she was very observant! My current favourite (police) detective is Craig Johnson's Sheriff Walt Longmire. I get a kick out of Agatha Raisin. I would have to say Nancy Drew. I haven't read this series yet, but it sounds interesting. Book detective is Eve from JD Robb's books, tv detective is Temperance Brennen from BONES. I love so many, including most of the ones listed above. Ngaio Marsh's Roderick Alleyn is still a big favorite, though. I just bought the entire series as ebooks, even though I already owned them! The old paperbacks are getting pretty yellowed. Daniele, congratulations! You are the randomly selected winner of my book. Please check your email! I just can't play favorites and pick only one from books (although I do like Greg King a lot from Lynn Cahoon's Tourist Trap series) I've read so I'll give a TV one, how about good old Columbo? That man was relentless! I like Father Dowling from Father Dowling Mysteries. pretty good in keeping Spenser true to his original character. I have so many favorites! I grew up on Nancy Drew, Trixie Beldon and Phyllis Whitney among others. I'll choose a good mystery over any book an any day. I do like historical fiction and some romance but mysteries have my heart. Jim Qwilleran from The Cat Who... series. How I miss that series. I enjoy watching "Hercule Poirot" use his little grey cells solving mysteries and mayhem. I have to stick with Hercule Poirot, with his fussy ways and immaculate moustache. bobwiesmann(at)gmail(dot)com. Ah, Lord Peter Whimsey. My all time favorite. So many favorites - the first one was Sherlock Holmes. So many favorites! Miss Marple, Campion, Morse, Inspector Roderick Alleyn and so many more! My first favorite was Nancy Drew. I have so many favorite fictional detectives, it's hard to pick just one, but I guess I would have to go with Hannah Swenson, she really gets involved in her cases. My favorite is usually the one I'm reading about! Miss Marple is a great favorite. Possibly Jessica Fletcher,as she was a forerunner to pique my interest in others, both tv and written cozies. Bill Gastner from Steven Havill's Posadas County series. Eve Dallas and Jim Qwilleran probably tie for the top spot on my list. Both their series are ones I enjoy revisiting time and time again. Thank you for the chance to win. So many wonderful detectives to choose from! Thanks to all who responded. I love this series by the way! Monk is one of my favorite fictional detectives. There are so many fictional detectives, both 'professional' and amateur. I have liked most, and my favorite is whoever I'm reading about at the moment. Probably my all time favorites are Nancy Drew, Hercule Poirot, Monk, and TJ Jensen. Congratulations to Daniele Krug! She's our randomly selected winner. I wish I had a book for everybody - but remember, you can always request your library to acquire Mulch Ado About Murder. That way you get to read it, and a bunch of people after you can enjoy the story, too. Thanks so much for stopping by to chat with Pete. There's a giveaway every day this month! One of my favorite series!!! Who is your favorite fictional detective? This is difficult to pick one. Classic? Of course, Sherlock Holmes in all of its manifestations; Ancient? Cafael books or with Derek Jacob; Classic Christie? Hercule Poirot books or with David Suchet; UK Television? Inspector Morse with John Thaw; Quirky? Columbo; Children's version? Nancy Drew; Cozy? Agatha Raisin or about 100 other main characters in my favorite books... I told you it is so hard to pick one! I love Miss Marple and Nancy Drew.